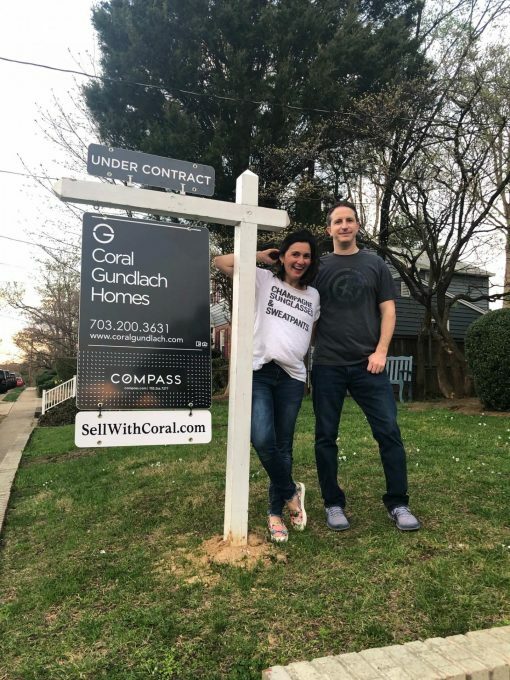 In a market like we have in 2019 in Arlington, and basically all of Northern Virginia, you see many houses sell immediately for over asking price with no contingencies and multiple offers. And some you see, just sit. What’s the deal? What’s the difference? Why do some houses get all the love and attention? And what does on behind the scenes? Prices are always recorded but terms are not. Well it isn’t accidental. It’s momentum. Momentum is the most important tool you have as a seller. And it’s what most sellers undervalue. I can’t tell you how many sellers tell me that “they are not in a hurry” as if that is some sort of advantage. It is not. Even if you have 6 months to sell, you need to create momentum, scarcity, urgency – so that you have the advantage in your sale. I think at this point every one knows days on market are the kiss of death in getting your asking price, but do you know what else they kill? Terms. Terms are more important than price and momentum is what gets you the best terms. For example – most houses are going to sell within a range of about 25-50K, higher depending on the bracket. If you price in the lower end of that bracket, say $999 instead of 950K, you get the momentum. What does that momentum bring? Multiple offers, crowded open houses, and a sense of urgency among your potential buyer that this house will be gone if you don’t snag it with the best price AND terms. Well would you rather have $950K and a 30 day appraisal and financing contingency, which means the buyer can back out if they are rejected for financing or if it appraises lower than your agreed upon price? And wait 30 days to find out? Or would you rather have $950K and no contingencies and a guarantee you’re selling at that price regardless of appraisal? That’s what momentum brings you. Would you rather have the buyer take the house “as-is” and inspect it before they buy? or have 7-14 days to inspect and then haggle over a laundry list of repairs? Momentum brings you the former. Momentum isn’t only created via the right price. It’s about condition, marketing, agent reputation, organization, how it’s listed, what details are provided, how easy it is to show. There are many points that must come together to make the momentum shift in your favor. You need an agent who knows how to created it to get you the best results.